Product Launches to Awards Events, Fashion Shows to Hospitality; Corporate Events are all about thanking staff or impressing clients and we’re sure we’ve got the team for the job. 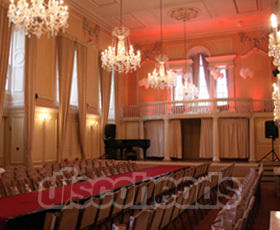 We can arrange installation of larger PA systems for indoor or even outdoor events. Previous installs have ranged from 10k to 26k systems – whatever the event – there really is no limit! With health and safety considerations being paramount at all times; we have the means to supply subtle sound, lighting and truss for a ‘Car or Product Launch/Promotion‘ or fully rig for ‘Shows‘ and ‘Outside Events‘. The team also has great experience in all areas of Event Hospitality, with major UK client launches and events under our belts. In addition, if required, our authorised partners are extremely experienced and capable of producing stage’s with weather-proof canopies and fully insulated sound systems, powered by generators where necessary. 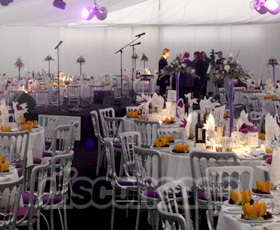 Only top quality sound and lighting equipment is used and installed to the highest standards. You need look no further for your corporate needs. With play commencing during the earlier part of the evening, our casino tables act as an excellent ice breaker, encouraging guests to converse, mingle and get to know each other before hitting the dancefloor. We can provide mobile bars and support for up to 250 guests. Our close supplier relationship enables us to supply over 100 specialty beers for your event as well as champagnes and cocktails to suit. Venue lighting and Colour wash can completely transform a room adding the ‘Wow Factor’ to your event or big day. This service is now considered as a must have for all events. Please contact us for further details and case studies.. Thanks! Your email was successfully sent. One of the team will contact you shortly. © Discoheads 2004-2017 All rights reserved.